Yesterday at The Next Hope in NYC, Johannes Grenzfurthner of monochrom announced Hackbus, a community wiki for mobile hack vehicles around the world. Here’s more on the Hackbus concept. 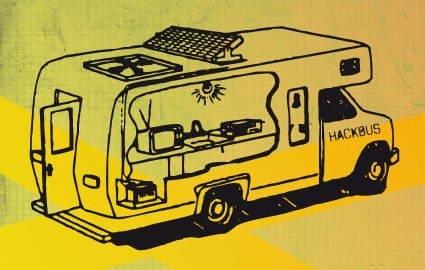 Hackbusses (or mobile hacklabs or hack vehicles) are a low-threshold way of bringing the culture of hacking to the people. They are migratory learning and teaching units, taking the talented hackers and their ideas out of urban centers and bringing them to people who might not otherwise be aware of the possibilities available to them.